Posts tagged "Cuba yacht charter"
Now that’s the spirit, Angel! What a fantastic idea to get pumped about your Caribbean escape. We’re not too embarrassed to admit enjoying a libation or two (or three) during our own yachting excursions in the islands. Local specialties can be found throughout the Caribbean, but we’ve narrowed down the choices to our fav five (in no particular order). As you sip these drinks, keep in mind you can heighten your experience by throwing on a pair of flip-flops, hiding behind a pair of Maui Jim sunglasses, and swaying to a little “Havana Daydreamin” with Jimmy Buffet. Some things are quintessential Cuban – hand-made cigars, guayabera linen shirts, and minty Mojitos. 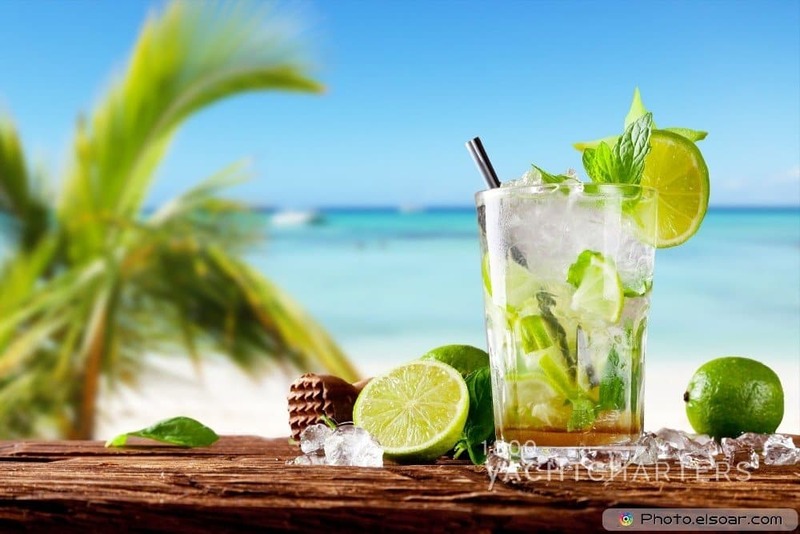 The history of Cuba’s signature drink dates back to the 16th century, when Sir Francis Drake and his comrades drank a mixture of crushed mint leaves, lime and unrefined rum. Locals say Hemingway drank them at Le Bodeguita del Medio in Havana, and James Bond enjoyed one in 2002’s Die Another Day. Made with Pusser’s Rum, The Painkiller cocktail originated at the Soggy Dollar Bar on Jost Van Dyke island in the BVIs. The drink was once made with a secret rum recipe by Daphne Henderson, the owner of the Soggy Dollar. Charles Tobias, the founder of the Pusser’s rum distillery, persuaded Henderson to share her recipe. We’re glad she did, as Painkiller cocktails are now readily available throughout the Caribbean. More an aperitif than cocktail, this simple mix of white rum, cane sugar and lime is usually served straight and is popular in all of the French Caribbean islands – Martinique, Guadeloupe, and the French side of St. Martin. 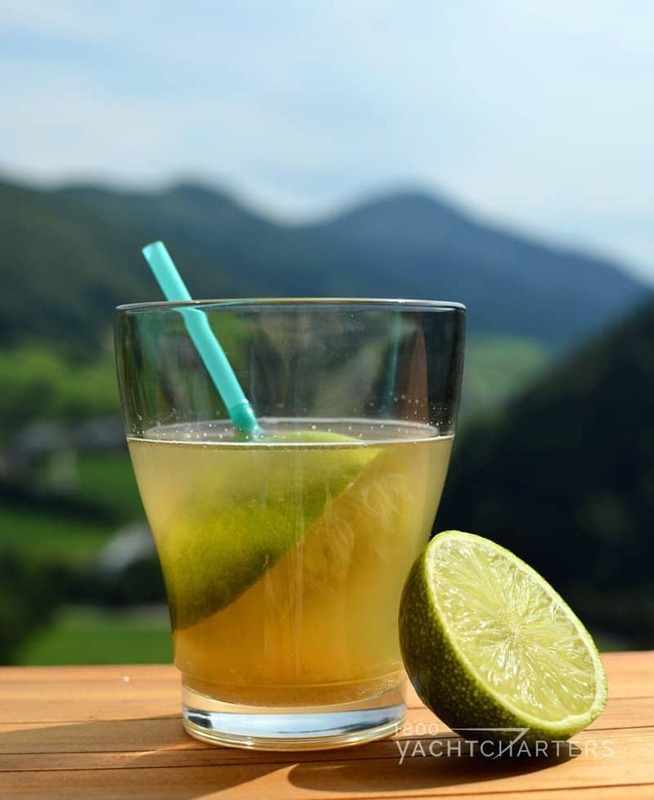 Easy to make, it’s usually served “to taste” – drinkers are presented with a glass of rum, a lime, and some syrup to make it up as they wish. We know what you’re thinking – we promised five killer cocktails but only named three. You caught us! Submit our contact form (here) requesting the other 2 great drinks, and we’ll send you the names AND the recipes to make all 5 of our favorite island-themed Caribbean yacht charter cocktails. Look forward to hearing from you and sharing some cocktails! 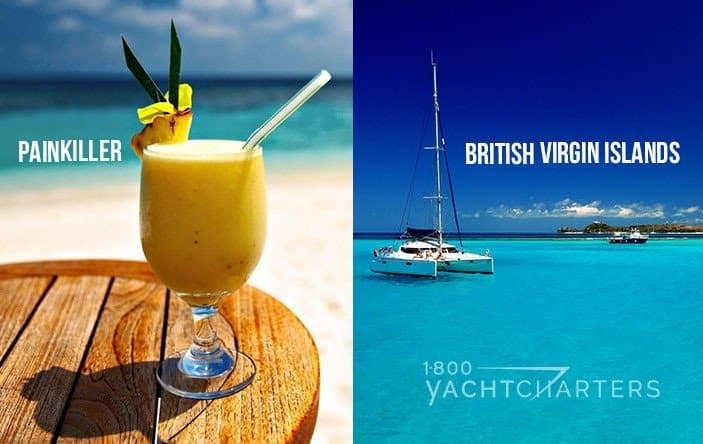 What’s your favorite tropical cocktail to drink while on your yacht charter? Leave a comment below! After a successful Italy yacht charter season this summer, the owner of Benetti motor yacht ULYSSES has announced his interest to relocate his 56 meter yacht this winter to the warm waters of the Caribbean, and in particular, the new cruising destination Cuba. 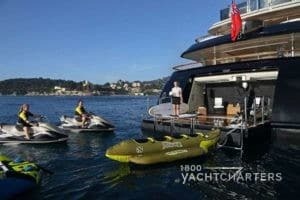 The idea of a Cuba yacht charter vacation is now more popular than ever, in large part thanks to the easing of travel restrictions between the United States government and the government of Cuba. The result of minimal tourism in Cuba for the past 5 decades means much of the country remains as pristine as it did a half-century ago. Small islets and miles of unspoiled beaches along the southern coast of the island nation are ideal for a warm weather yachting vacation. Additionally, the opportunity to interact with the residents and their unique Latin culture rounds out the total Superyacht Experience. Offering great value to potential customers is nothing new for the owner of Italian-built motor yacht ULYSSES, a Benetti 184 foot superyacht. 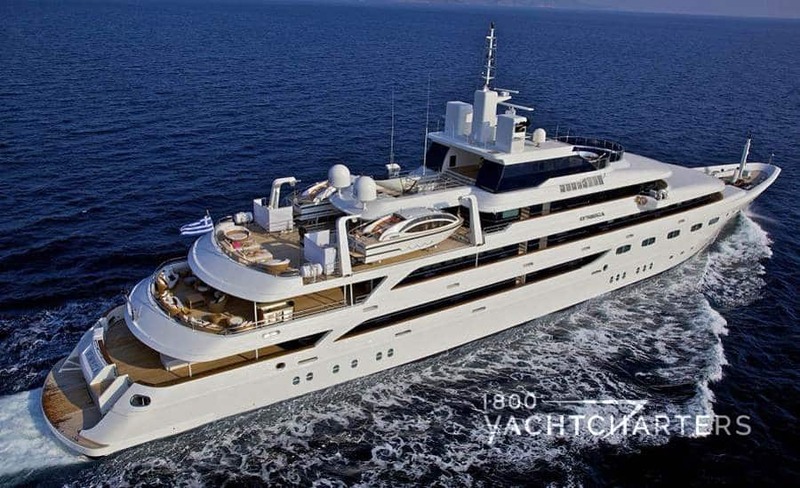 In fact, the yacht still has a late summer discount in place for charters in the Mediterranean, along the Italian coast. 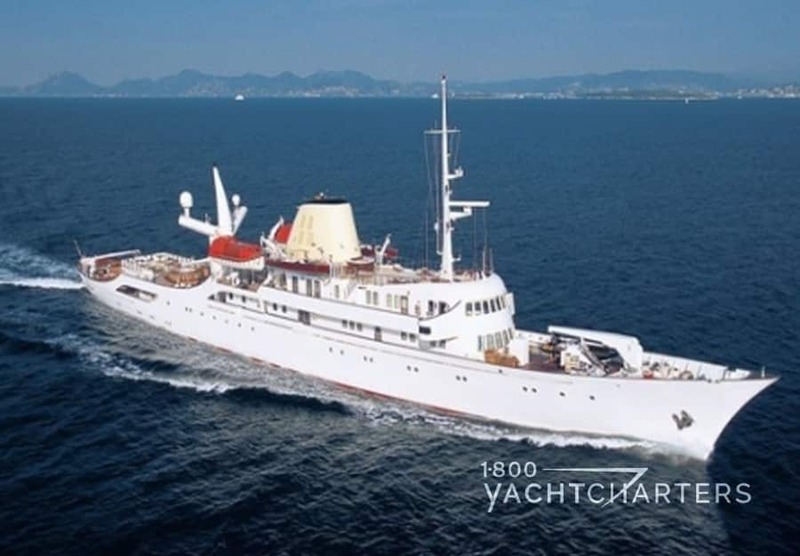 Although no discounts have been announced yet for Cuba and the Caribbean, we feel it’s only a matter of time before the yacht’s owner dangles a tantalizing offer in front of our noses! Visit our Caribbean page here for a small sample of yachts available this winter in Cuba, St. Martin, St Barts, and throughout the islands.